Dunkirk, not being based on a book, isn't in Chapter1-Take1's wheelhouse but it's an extraordinary film and once you've seen it, you'll want to roll back through some of director Christopher Nolan's other works. I liked Inception, as baffling as it is at times, and his Dark Knight movies are among my favorite of the genre BUT the film I'd go back and re-watch right now is The Prestige. The bad news is that while I've seen it, I'm not sure whether I can recommend it. Seeing as it stars Christian Bale, using what I think is his own natural speaking voice—a rare pleasure—and Hugh Jackman offering up his best American accent, I'm sort of a fan by default. My personal bias aside, I'm all for re-watching it regardless of its cinematic value. 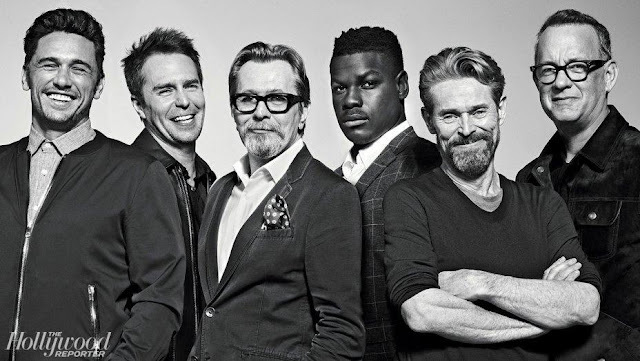 Basically, I'll forgive a film all kinds of sins if the actors are actors I like. 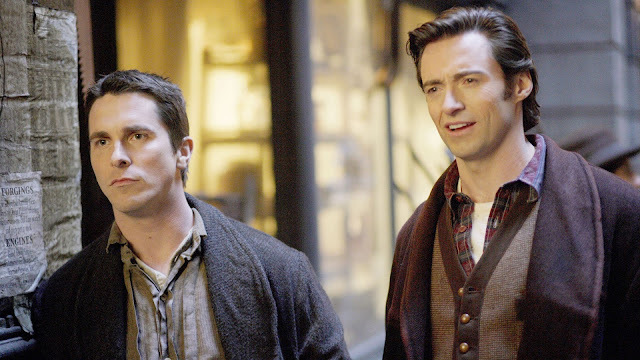 I can imagine Jackman and Bale in their early days, sifting through the bookshelves of Samuel French for those tapes and instruction manuals that used to come in slim plastic bags: Accents for Actors (Middle American). Once upon a time in an acting class long long ago I picked up one of those tapes to learn a Russian accent for a scene. I like to think of Jackman, Bale and all those actors who have mastered the magic of being someone other than themselves, sitting in a quiet room and playing those tapes over and over again, like I did, practicing, practicing, practicing. Or perhaps they just have the gift of mimicry. As for me, I can still pull my Russian out if I need to. 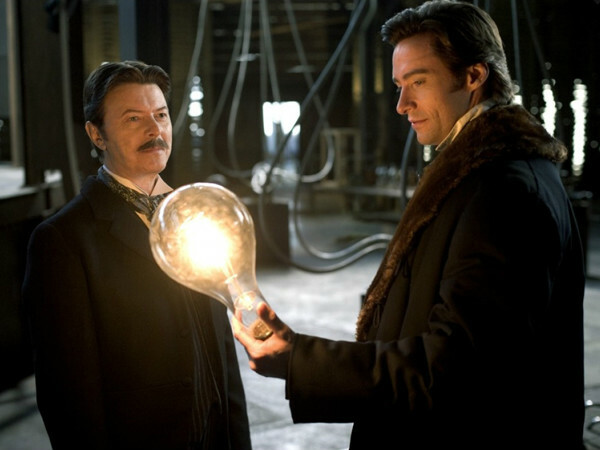 The film features David Bowie as Nikola Tesla. Tesla was regarded in the Victorian age as a magician more than as a scientist. Not a bad role for a magician like Bowie. 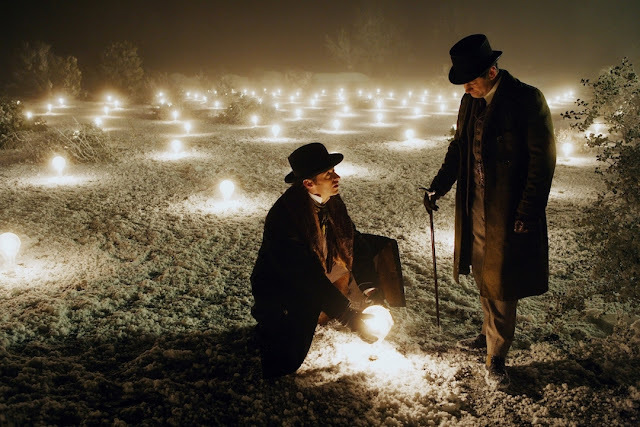 The cinematography by Wally Pfister was nominated for an Oscar, as was the art direction. 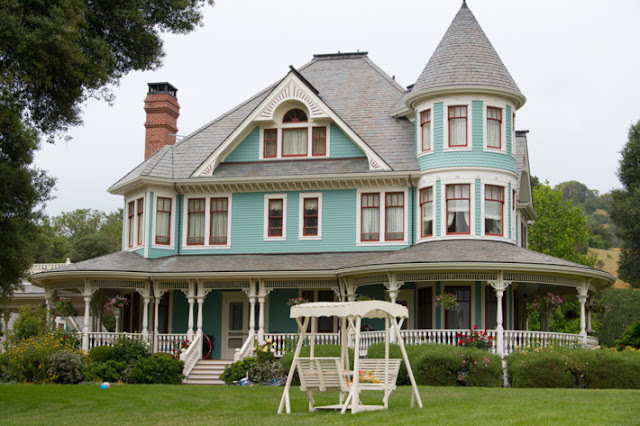 You can see how gorgeous the period film looks here and in the trailer below. 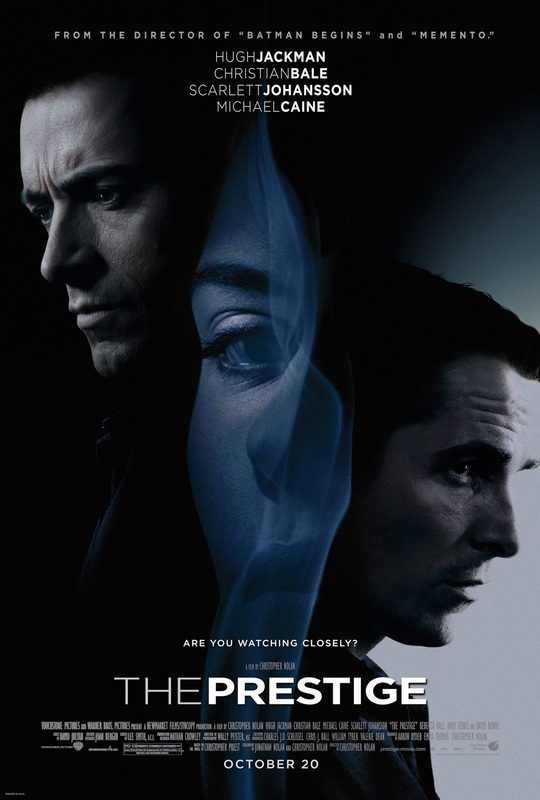 Based on eponymous novel by Christopher Priest, The Prestige is the story of two stage magicians Jackman and Bale) competing to create the ultimate stage illusion. 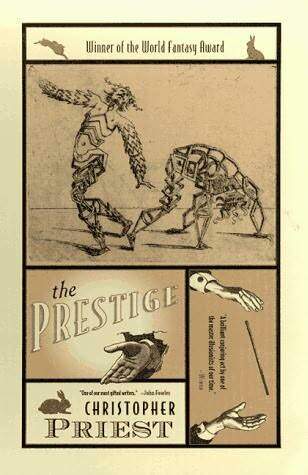 In 1878, two young stage magicians clash in the dark during the course of a fraudulent séance. From this moment on, their lives become webs of deceit and revelation as they vie to outwit and expose one another. Their rivalry will take them to the peaks of their careers, but with terrible consequences. In the course of pursuing each other's ruin, they will deploy all the deception their magicians' craft can command--the highest misdirection and the darkest science. Be warned: Roger Ebert, who reviewed the film on its release in 2007, was not a fan. But he was a huge devotee of magic tricks, and in fact in his review talks about how he spent years practicing magic as a kid. Maybe for those of us a little less savvy when it comes to magic trickery, will be more enthralled. The film is literally about magic but for master director Nolan, the magic that matters is the magic of movies. In the end each member of the viewing audience has to decide for themselves whether they've been fooled into finding that the film's reality is one that replaces their own, transports them to another world. A world they believe in. Magic. Ok, I re-watched the movie and LOVED it! I bought the whole magic act.